OUT IN THE LINEUP has been ranked #15 in Queerscreen’s best LGBTI films of all time! We are thrilled that our film OUT IN THE LINEUP has been ranked #15 in Queerscreen’s best LGBTI films of all time. 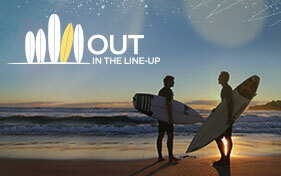 1 response to OUT IN THE LINEUP has been ranked #15 in Queerscreen’s best LGBTI films of all time!